FX123 is a my idea for intraday trading with based T3CCI and Alfa Profit. 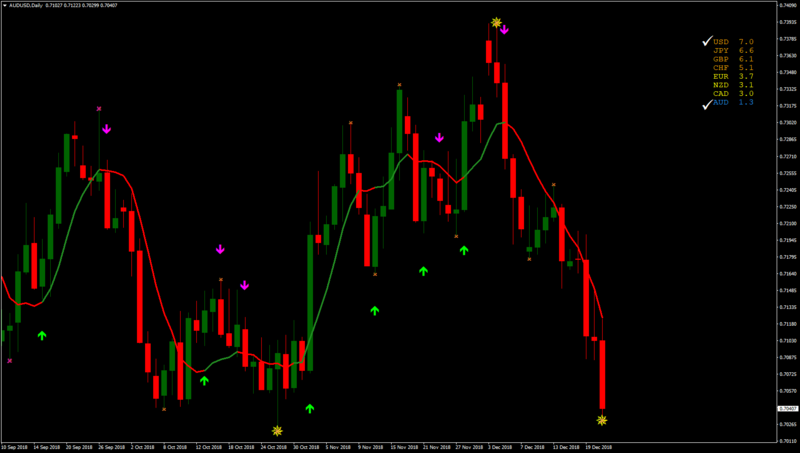 The main feature of this strategy is that the T3 CCI is the filter of Alfa Profit arrow. The strategy has an fast profit and can also be applied to simple money management, which almost always makes it successful. Another feature of this strategy is that losses are generally small. FX123 can be used also for trading with binary options expiry time 1 candle because have a higher profittability on first bar. Apply this strategy to currencies strongly or very weakly to the time frame daily. Time Frame 30 min or 60 min (best 30 min). Currency pairs: GBP/USD, EUR/AUD, EUR/NZD, EUR/CAD, GBP/JPY, GBP/AUD, GBP/NZD, CAD/JPY, USD/CAD, AUD/USD. First open and daily time frame and search the best currencies for trading. Strongly VS Weakly. You can trade also only in the direction of the trend (optional). If sell arrow appears but T3CCI line is green do not close the position if the profit has not been reached (important and no worry). If buy arrow appears but T3CCI line is red do not close the position if the profit has not been reached (important and no worry). At the opposite arrow or when T3CCI changes direction..
At the levels of pivot points. Example 1 2 3 4 5 . - 2-4-6-8-10. In the pictures Fx123 in action. currencies strongly or very weakly to the time frame daily. Submit by Janus Trader 25/08/2015. Best Intraday Breakout is a real intraday strategy that find the direction of the price. What's the direction of the price today? 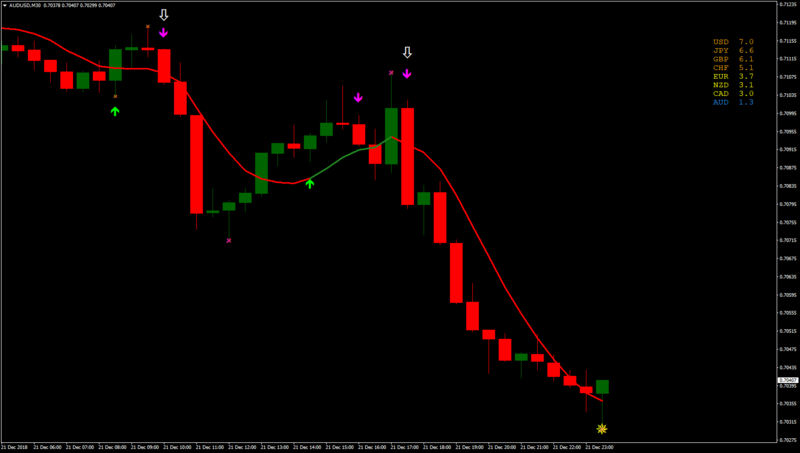 Breakout direction Intraday is a trading system based on advanced box breakout indicator. Here I shows two ways for trading with box breakout indicator. Share your opinion, can help everyone to understand the forex strategy .